Omar Plasencia León from Caracas,Venezuela, is one of the most famous Latin American percussionists and vibrafonists in Germany. He finished his music studies in Maracay (1971-76) and in Caracas (1976-80). Courses with well-known professors in Nice, Venice and New York improved his musical knowledge and ability. 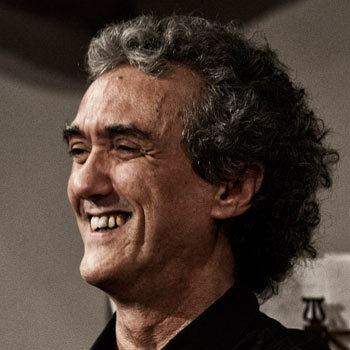 As an outstanding musician and composer he has played in different groups ranging from Salsa („Grupo Mango“, „Orquesta Guayaba“) to Latin-Jazz („Grupo Bambú“) or contemporary music („ Ensamble Contemporaneo de Percusión Simon Bolivar“) to classical music („Orquesta Sinfónica Simon Bolívar“, „Orquesta Sinfónica Municipal de Caracas“). He has been an integral member of Grupo Sal since 2003.